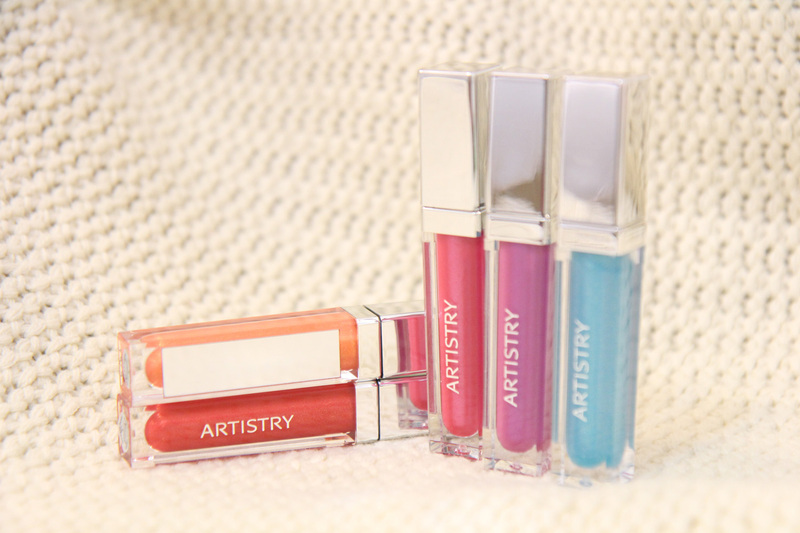 ARTISTRY LED LIP-GLOSS The only series of lipgloss that can ever have me sitting on the edge while waiting for it to finally launch in Singapore. I AM SO EXCITED THAT I GOT ALL 5 COLORS. (Okay now give me a minute to recompose myself a little before I go on..) So you girls probably know that I have slowly switched my entire skincare + makeup products over to Artistry over the last 1-2 years - they are sooo good because all my little pimples on my face that I can never get rid off in the past (you know, from all the countless nights of staying up to mug for exams, poor sleep and diet etc,) have all cleared up. 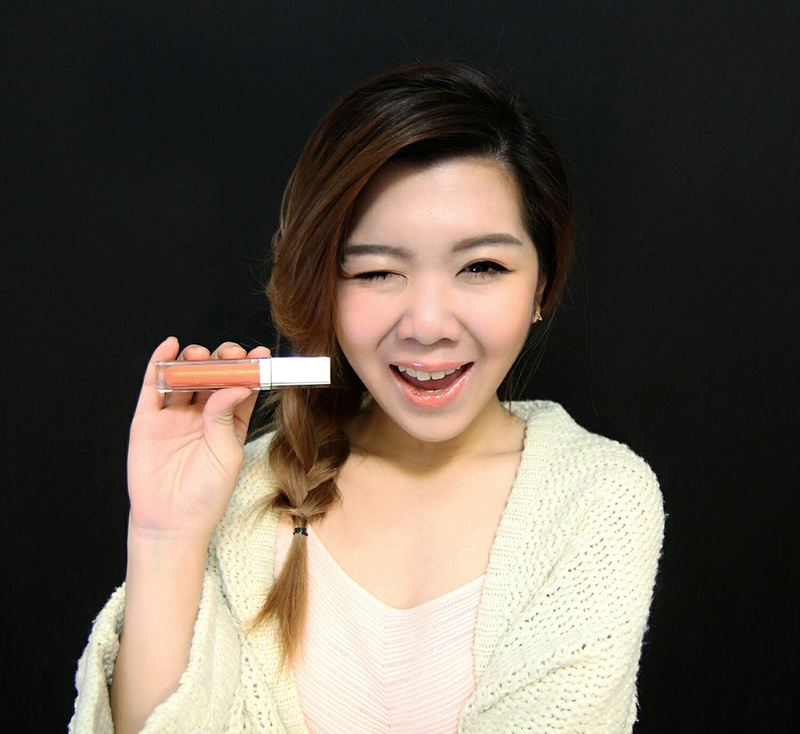 That's why I'm switch my products over to the brand Artistry ever since. So obviously, the overly infatuated me placed an order to ship them over to Singapore. I waited eagerly for two days before receiving news that it couldn't be shipped all because it contains battery. (Now, please hear the sound of my devastated heart breaking into a million pieces.) I was so upset - it's a girly thing so guys please try to understand. Plus it comes with a mirror on it (plus point again) so I wouldn't even need to fumble for a mirror from the assortment of things that's always in my handbag. 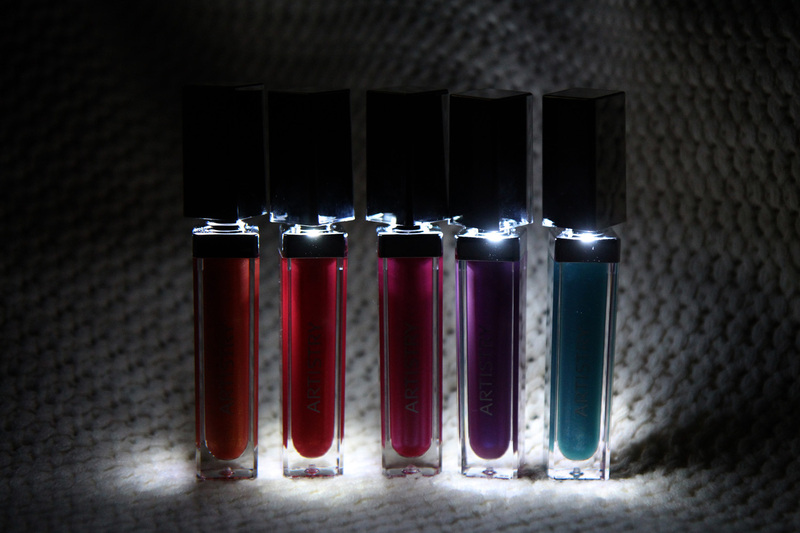 The minute I got them on my hands I knew I have to blog about them.. because good things (not to mention limited-edition) are always worth a review and a share. My favourite one of the lot has still be the cherry red color. 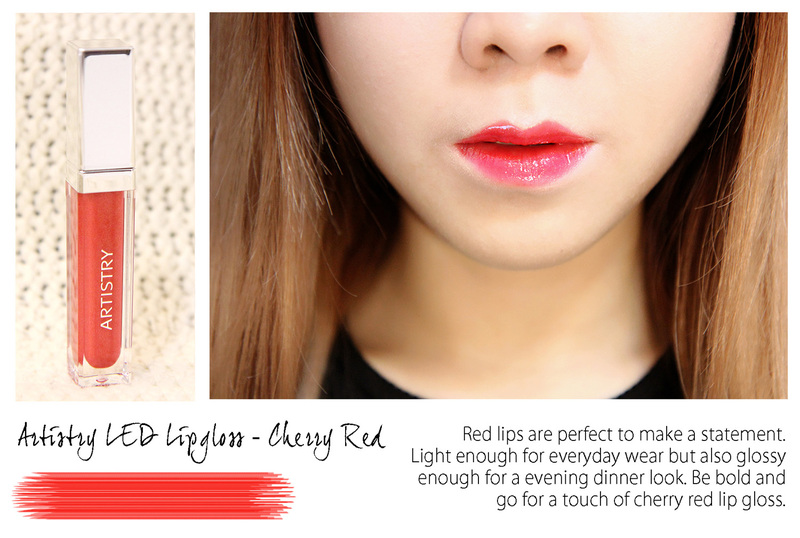 In my opinion red lips can be a little tricky to pull them off at times - some colors may be too dark, too intense, or overly striking - and we need to balance the eye makeup to perfect the look. But this cherry red color was just right! 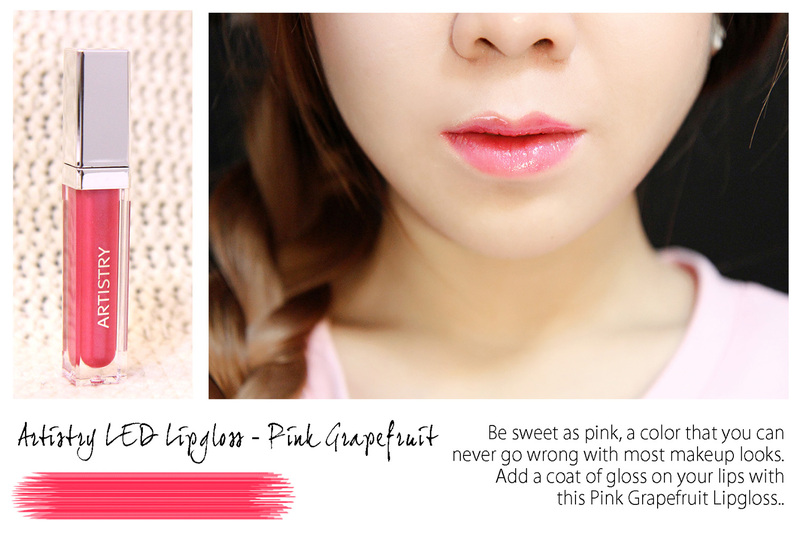 Bright enough without being too intense, and I find this color quite versatile for both a day and a night look. 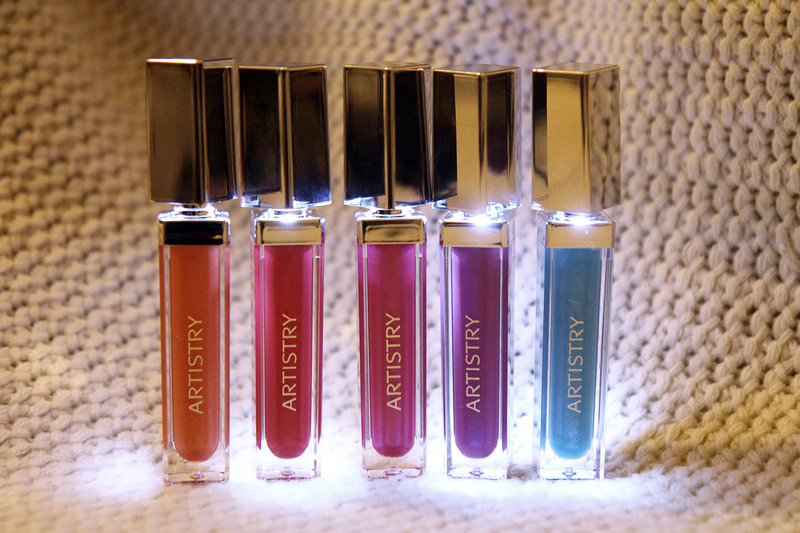 Across this range of Artistry LED lipglosses, it gives a cool minty sensation when applied (there's mint in its flavor), and its very moisturising with a super glossy finish - that I really love because glossy lips looks even more pretty especially at night. 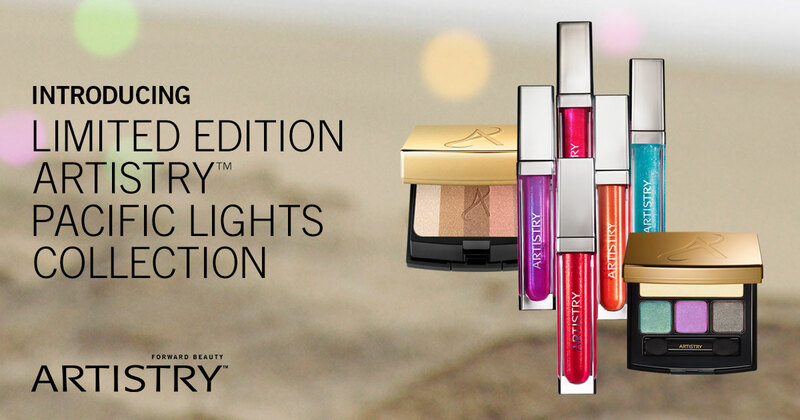 Together with the eyeshadow palette that was lunched with this collection! 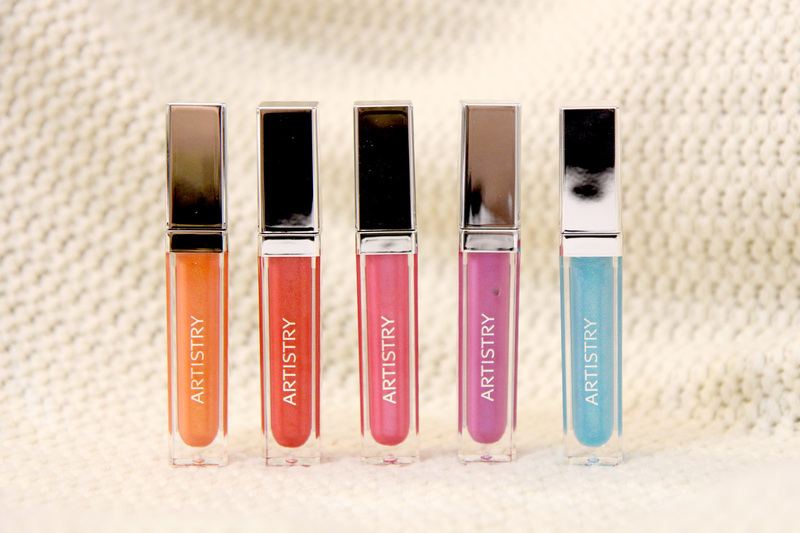 This range of Artistry LED Lipgloss are not found on the shelves, and are only available through Amway Independent Business Owners. Loving the colors as well! The review sounds wonderful! 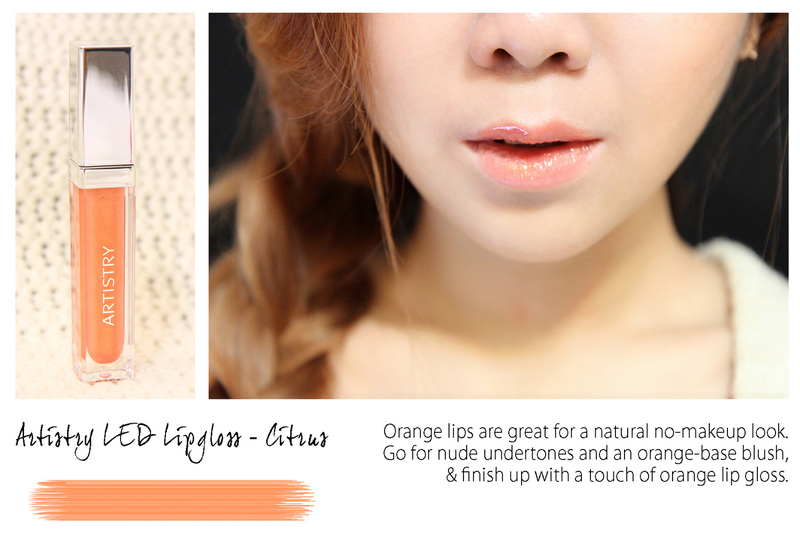 Do you think it will be suitable for skin? You look amazing as always! 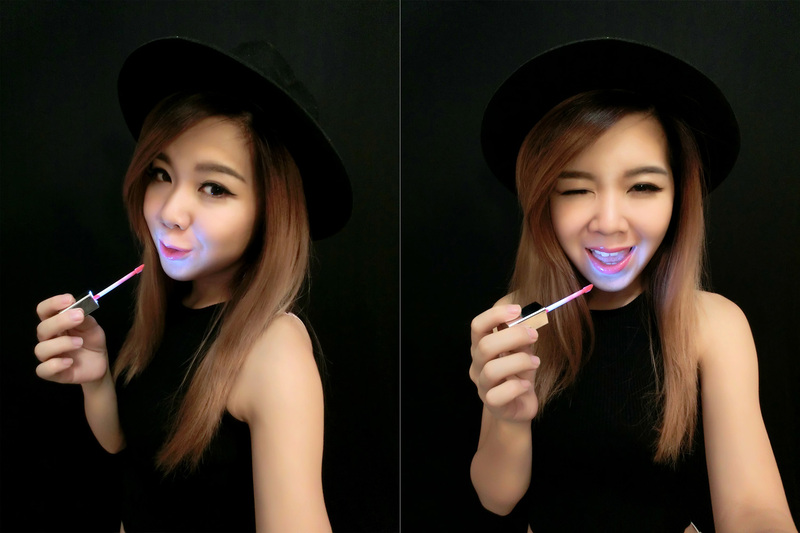 I like Pink LED lip glow. It is suitable for my skin. 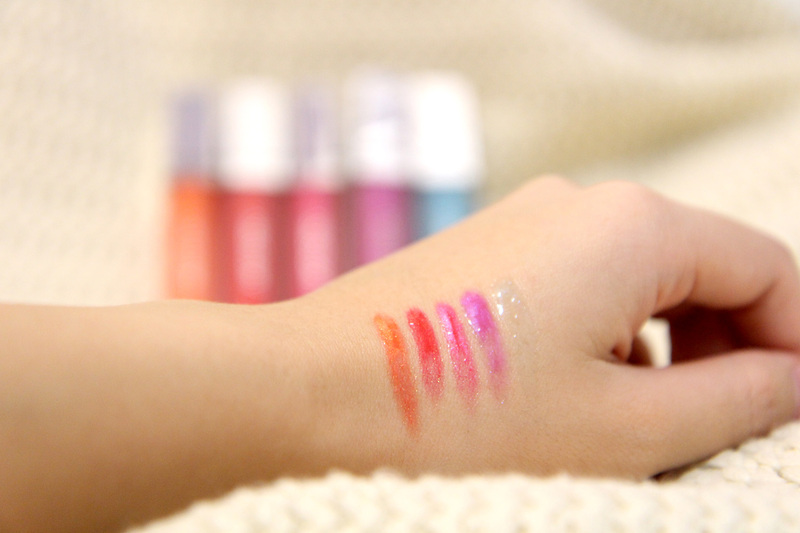 Buy these makeup products at best price in Malaysia. Designer Clothes The website is looking bit flashy and it catches the visitors eyes. Design is pretty simple and a good user friendly interface. LuxJunky.com Thanks For sharing this Superb article.I use this Article to show my assignment in college.it is useful For me Great Work. bracciali incisioni personalizzate I curious more interest in some of them hope you will give more information on this topics in your next articles. stylishster Regular visits listed here are the easiest method to appreciate your energy, which is why why I am going to the website everyday, searching for new, interesting info. Many, thank you! Dsquared Cap Here so happy to find good place to many here in the post, the writing is just great, thanks for the post. ncdex live I am really enjoying reading your well written articles. It looks like you spend a lot of effort and time on your blog. I have bookmarked it and I am looking forward to reading new articles. Keep up the good work.